A few months ago, I announced that J.F. 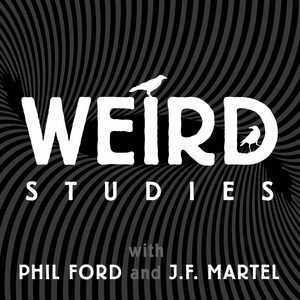 Martel and I are starting a podcast, Weird Studies. And now, at last, here it is! New episodes will be added soon, but for now we have two up: a half-hour intro episode and a full-length show that follows a train of thought begun in my "the Cold War never ended" series, which was really the point where I started writing about magical styles of thought, at least on my blog Dial M for Musicology. To some degree, Weird Studies is a product of that writing. But even more, it's the outgrowth of a conversation that J.F. and I have been having since we first met in Ottawa in 2015. At that time J.F. had just published his book Reclaiming Art in the Age of Artifice, which I had heard about on Erik Davis's podcast Expanding Mind, itself an indispensable part of the weirdosphere. I was immediately a huge fan of the book, and when I was visiting Ottawa my friend Graham introduced us. Graham orchestrated a book launch event at Octopus Books where we all talked about the ideas in Reclaiming Art, one of the foundation texts of Weird Studies, the joke academic discipline whose birth and death I announced on Dial M the next year. But at this point "Weird Studies" is not quite a joke, even if it is also not quite an actual academic field either. In lieu of a real academic field, we offer a podcast. As I say, it is an extension of the conversation J.F. and I have been having since the shindig at Octopus Books. We've written somewhere between 100 and 200 thousand words to one another -- epic flights of speculative metaphysics, cracked-out jags of art interpretation, red-eyed searches for eldritch patterns in the drift of daily life. And that's what's going into our podcast, too. I seem to have gotten in the habit of writing only about things that both demand and refuse definition -- hipness, for example. So now, as J.F. and I launch this podcast, the threshold question that greets us is, what is the weird? I've written about this before, but it's worth repeating that "the weird" is both a quality ("El Topo was really weird") and a way of seeing things. It can be nothing more than a willingness to suspend usual habits of perception and judgment and hang out in the weightless spaces between certainties. It can be an attitude of entertaining an idea. The origin of the word is French, entre = between and tenir = to hold: to entertain is to hold between. In entertaining an idea, I dandle it lightly between my hands, holding it up to the light and admiring how it looks from different angles. It is a way of trying on ideas without commitment, without biting down on belief. It is thinking as idle amusement, the intellectual posture of the Flâneur. But this is the weird as a function of reception -- a question of how we see the weird, not what the weird is in itself. So what gives an idea the quality of weirdness? In a previous post, I suggested that an idea strikes us as weird when it violates our naïve construal of how reality works. That is, a weird idea lies outside the “construal we just live in, without ever being aware of it as a construal, or — for most of us — without ever even formulating it,” as Charles Taylor writes. Calling it a "naïve construal" isn't an insult: we all have some largely unavowed metaphysical picture of the world running in the back of our minds as we go about our day. It's hard to see how it could be otherwise. "Question everything" has a nice motivational ring to it, but really, no-one has the mental energy to question everything: some things you just have to take for granted. Some ideas are like computer programs that arrange the foreground of your experience while running invisibly in the background. In my book Dig: Sound and Music in Hip Culture, I argue that hipness is one such script. * But there are many more scripts that run in our minds, regulating what we believe possible or likely and establishing categories for our experiences. I have come up with a list of twelve, though doubtless many more could be imagined. 1.Time moves irreversibly forward. Situations evolve from previous situations, and this evolution goes on continuously. The meaning of each such situation is given by its place in progressive linear time. 4.Mind is a function of the brain. When my brain stops functioning, so too does my consciousness. Death is the end of all “thoughts, feelings, spiritual élan” — the end of me. 5.Likewise, all immaterial things have material causes: love is an evolutionary mechanism, aesthetic beauty is a construct of the political economy, a vision of God is something funny going on in your brain, etc. 6.Chance is random. If I draw a tarot card from a shuffled deck, it cannot correspond with anything meaningful in my life, except by accident. 8.Subjective experience is an imperfect reflection of objective reality: it is the latter, not the former, that compels our trust and respect. 9.Reductive explanations (e.g. “Love is just evolution’s way of getting us to reproduce”) are automatically more plausible than the alternatives. 10.The fact that such explanations are depressing is proof that they are probably correct. Optimistic notions are convincing only because they are “comforting” to those who favor them. 11.Meaningful connections are causal connections. A non-causal connection — for example, a dream that foretells a death in the family — can only be a coincidence or something you are “reading into” a situation. 12.If I testify to an experience that contradicts any of these rules — telepathy, an encounter with a demon or a UFO, a successful magical working — I am either crazy, lying, or duped. We can call this "the naïve construal of modernity." And if you read some or all of these propositions and think "those aren't cultural scripts or metaphysical assumptions, they are reality," well, that's what people tend to say when confronted with the axioms of their naïve construal. That's what makes it a naïve construal. Actually, it's more complicated than this, because it's possible to be confronted with the axioms of one's own naïve construal, question them, know their provenance and history, know them to be contingent ... and still hold to them in every important respect. Or maybe it's truer to say that they still hold onto you. That's certainly true of me. It doesn't matter if I "believe in" them; I act on them. In listing the axioms of the modern naïve construal, I'm not trying to convince you to believe their opposites. I couldn't do it if I tried, and why would I want to? Weird Studies isn't about believing or convincing. 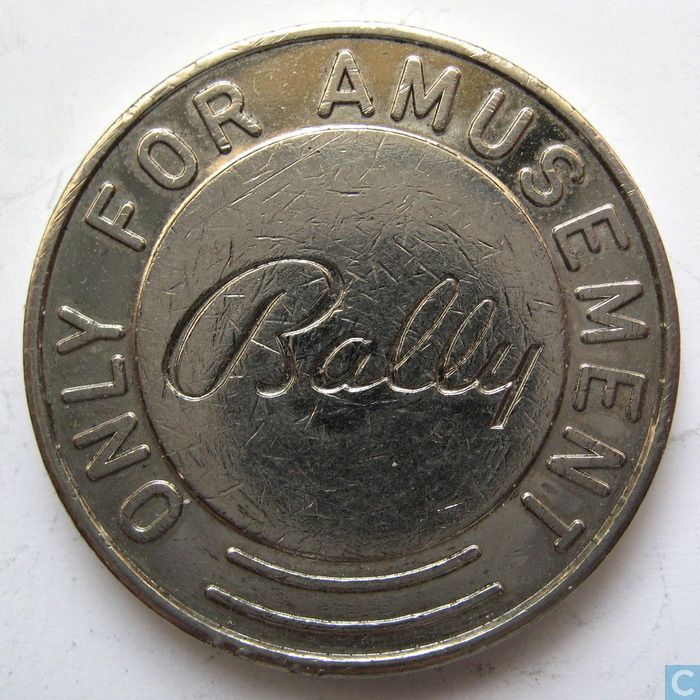 The ideas contained herein are (as the old arcade tokens used to say) for amusement only. *Hipness "is like an operating system—a code, running largely below the threshold of conscious thought, that constellates habits of mind and patterns of taste; orders our everyday perceptions of what is meaningful, true, and beautiful; and shapes individual acts of artistic creation." Me, Dig: Sound and Music in Hip Culture (NY: Oxford, 2013), 20. "Constellates," indeed. Nothing is so irritating as your own writing from several years ago.